National Curriculum and Textbook Board (NCTB) uploaded the text books for class Two - 2- II . Download these all PDF books from the following links. 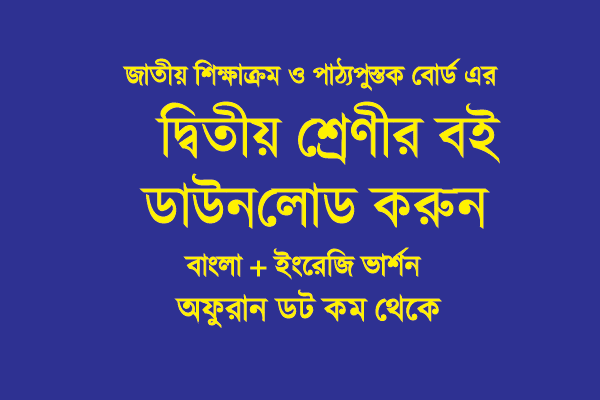 Class 2 - two - II Bangla and English Version all PDF books are now available in the internet. Please download and keep in your mobile library collections.